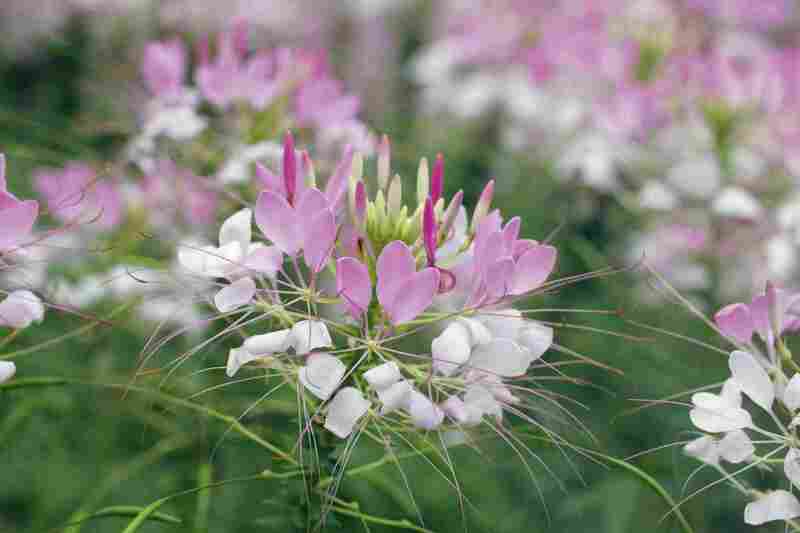 Cleome flowers offer an irresistible combination of height and an exotic appearance that make them a welcome addition to any sunny garden border. Planting is a breeze, just sow them in late fall on top of the soil, and allow winter temperatures to provide them with the necessary cold treatment that will trigger germination at just the right time for your climate. Try the 'Sparkler' series, the only hybrid cleomes available, which have a bushier habit than open-pollinated types. If your flower garden is characterized more by shady glens than sunny patches, you may need at least one stalwart annual to add cheer to the shadows. Impatiens germinate easily from seed, or you can find bedding plants available at any garden center at the beginning of summer. Impatiens will tolerate the hottest summers with enough water and shade. If your plants are affected by mildew, try New Guinea impatiens, which aren't affected by the disease. The fragrance of the marigold may be an acquired taste, but no one can deny the visual boost these vibrant yellow, orange, and red flowers lend to the landscape. Their low cost and ease of propagation make marigolds an ideal candidate for filling in large blank spots in new flowerbeds. Poor soils and reflected heat from sidewalks and driveways won't stop these flowers. Start seeds of the tall African type indoors six weeks before your last frost, as they take time to mature. Smaller French marigolds are commonly sold as bedding plants in the spring. The wide variation of blossom color and form is but one of the features of petunias that make them a designer's favorite. Look for solid colors with make veins, two-toned picotees, and flashy harlequin stripes. You can even grow fluffy doubles that resemble carnations. Although petunias have a reputation for thriving in cooler temperatures, new hybrids offer superior heat and humidity resistance. The 'Wave' and 'Supertunia' series will not disappoint if you're in Texas or Florida. Both showy and practical, sunflowers fill several needs in the flower garden. Old-fashioned varieties like 'Mammoth' yield protein and oil-rich seeds that nourish birds and people alike. New, pollen-free varieties like 'Vincent's Choice' look smashing as casual late summer and fall bouquets. Sunflowers are associated with hot summer months, but even gardeners in short season areas can successfully grow these plants. By choosing compact varieties that mature quickly, like 'Cherry Rose,' and by planting outdoors two weeks before the average last frost date, you can cultivate sunflowers in cooler climates. If your memories of zinnias include an inevitable outbreak of powdery mildew by late summer, you should get to know the newer, mildew-resistant zinnias that will shrug off humid conditions in your area. The 'Profusion' series has smaller flowers and a casual, spreading habit, perfect for your containers and hanging baskets. If you crave the tall zinnias that stand out in the back of the border, seek out the 'Blue Point' series, carried by several seed purveyors.